Our mission is to help cattle feeders improve their return on investment. Integrity and confidence in the company, people and product. Security and privacy of data and information. Responsibility to be reliable, accessible and to support our customers. To empower the North American Cattle-Feeding Industry to make informed decisions regarding risk versus opportunity. To consolidate measurable variables to make timely, informed financial decisions, and to reduce the time required to do so. The idea for Linus7 sprang from the Bovine spongiform encephalopathy (BSE) crisis in the late 1990s. The cattle industry in Canada experienced extreme equity loss and we witnessed unbelievable volatility in the industry. Cattle values dropped 70% in 30 days. We knew the need to plan and protect ourselves from risk exposure was greater than ever. We quickly began working on a set of risk management tools. We completed years of extensive development and testing of financial, electronic and human systems. Today, these tools are combined to create the Linus7 Cattle Financial Management System. We're proud to have produced this one-of-a-kind system for both Canadian and US cattle feeders alike. Linus7 first hit the market with over a year of beta testing. 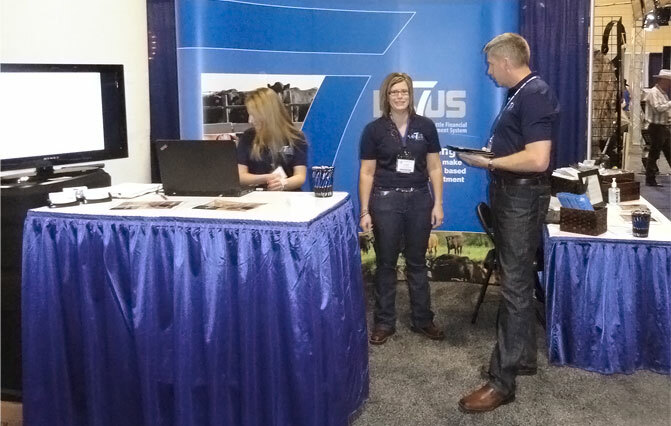 A group of leading North American cattle feeders got involved early, and the results they experienced were so positive that all of them continue to use Linus7 to this day. Our official launch was held at the 2013 National Cattlemen's Beef Association in Tampa, and we have since brought on many new clients across North America. BSE Crisis: Canadian cattle values drop 70% in 30 days. Development of Risk Management tools begins. Software is shared with a beta testing group of industry innovators. Software and integrations development continues. Official software launch. Building interfaces and partnerships with 3rd party feedlot software providers. Continued software enhancements, risk alerts and additions of other valuable tools.